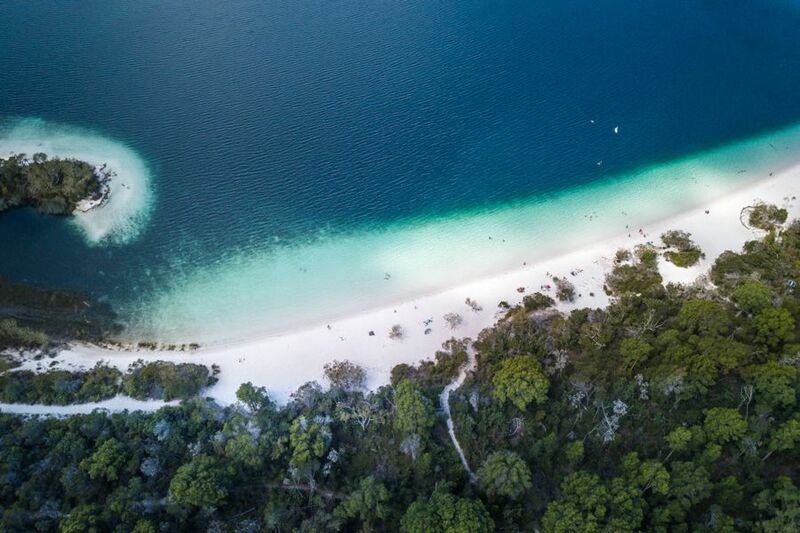 Lake McKenzie is Fraser Island's top lake destination! This popular perched lake it located inland from Eurong Resort in the middle of the island, and is one of the island's many perched lakes. The lake is known not only for being great for swimming, but for its beauty and crystal clear waters. As a perched lake, its mass is made up completely of rain water, with no springs or water sources running in or out of it. The compact sand and organic matter that cover the floor of the lake prevents water from leaching out, containing all the water within. For this reason, the lake remains isolated and contained within itself, which helps maintain its purity and clarity. The lakes high acidity levels discourage plants from taking root and has not allowed for any fish life to flourish there, making its shores free of weeds and perfect for swimming. However, due to the fact that is has no water running in or out of the lake, it is susceptible to damage caused by tourists who enter the water. Any pollutants that are introduced to the lake (sunscreen, soaps, etc.) have no way of exiting, causing them to accumulate in the water, where they will forever stay. For this reason it is important that visitors take extra care when swimming in the water, leaving nothing behind, including chemicals by avoiding applying sunscreens or lotions before they get in. The lake is only 5m deep at its deepest point and spans 130 hectares. 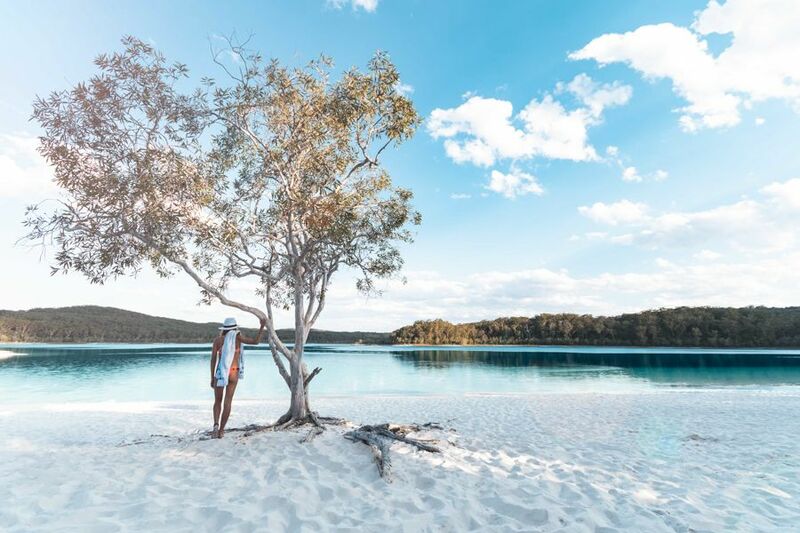 While it may not be the largest of all the lakes on Fraser Island, it is arguably the most beautiful. The shores of the lake are made up of white silica sands which act as a natural filter, aiding the lake in keeping its crystal clear water and also add to the stunning scenery of the area. The sand is also great for exfoliation and is extremely soft to the touch, which also makes it great for tourists! The stark white against the rich blue of the lake provides an excellent backdrop on your island adventure. 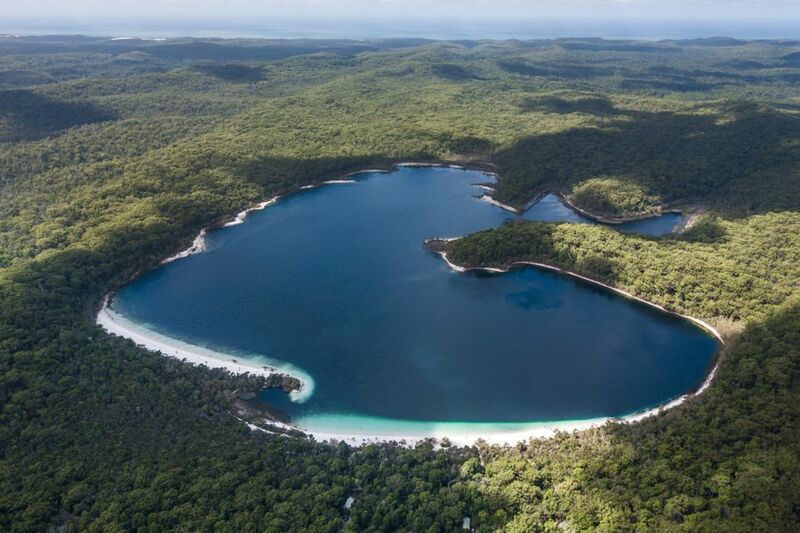 Lake McKenzie is a must-see when visiting Fraser Island and is accessible using the inland 4WD tracks.